Natural Scented Wonder Beads Multi-Purpose. This totally new concept uses natural clay Beads and moisture to provide warm, effective soothing pain relief. The beads naturally absorb and retain moisture from the air for an extended period of time. The wonder beads use natural scent, that provides soothing aromatherapy which enhances the overall experience of providing total comfort. Simply Microwave for warm therapy. Contains natural clay and non-toxic oils. Easily conform to body. Double Safety Tested- CPSIA, FDA and TRA (Toxicological Risk Assessment) reports are available upon request. 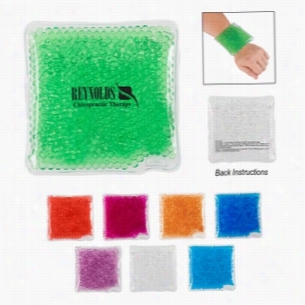 Gel Beads Hot Cold Pack. The Gel Beads Hot/Cold Pack is a novel and useful item for you and your customers! Simply heat or cool to sooth those injuries and sore muscles. Several color options available. With the same quality you'd find in a health store but the low low discount pricing, you're sure to have your brand looking its best with this Gel Beads hot/cold pack. Assortment may be available. 120G neutralizing blue crystal Gel Beads. Fresh linen scent. 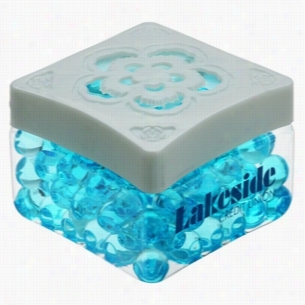 Plastic square jar with twist-off lid.Material: PET bottle, PP cap, 120g gel beads. 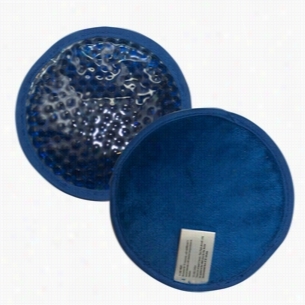 Plush Gel Beads Hot Cold Pack Circle. These ingenious new bead packs can provide both hot and cold therapy care. They are filled with gel peas that mold to your body with ease and have a velvety plush back that feels wonderful on your skin. Can be used over and over, simply Microwave for hot therapy, or freeze for cold (detailed instructions are printed on back of each pack). They are perfect promotional item for hospitals, doctor's offices, health fairs, or spasâ€”the ultimate in luxury. Available in blue. These Products are not intended for use by children or pets. They may present a choking hazard to children less than 3 years of age. Packs should not be used on infants. 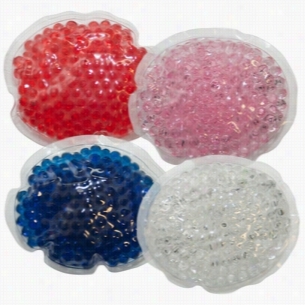 Gel Beads Hot Cold Pack Small Oval. These ingenious new bead packs can provide both hot and cold therapy care. They are filled with Gel peas that mold to your body with ease. Can be used over and over, simply Microwave for hot therapy, or freeze for cold (detailed instructions are printed on back of each pack). 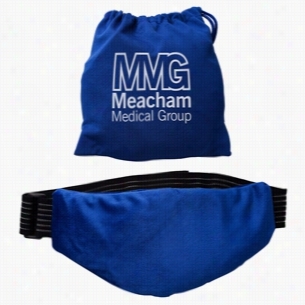 They are perfect promotional item for hospitals, doctor's offices, health fairs, or spas. Available in 4 stock colors listed below, please order by color. These products are not intended for use by children or pets. They may present a choking hazard to children less than 3 years of age. Packs should not be used on infants. 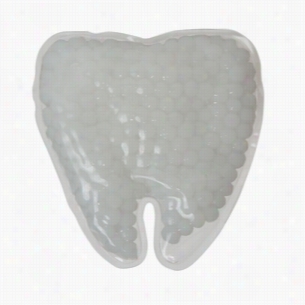 Gel Beads Hot Cold Pack Tooth. These ingenious new bead packs can provide both hot and cold therapy care. They are filled with Gel peas that mold to your body with ease. Can be used over and over, simply microwave for hot therapy, or freeze for cold (detailed instructions are printed on back of each pack). They are perfect promotional item for Dentists, hospitals, doctor's offices, health fairs, or spas. 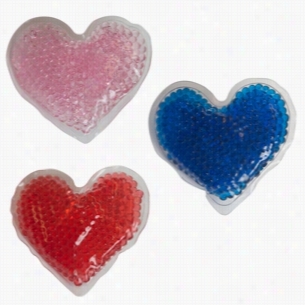 Gel Beads Hot Cold Pack Hearts. These ingenious new bead packs can provide both hot and cold therapy care. They are filled with gel peas that mold to your body with ease. Can be used over and over, simply microwave for hot therapy, or freeze for cold (detailed instructions are printed on back of each pack). They are perfect promotional item for Dentists, hospitals, doctor's offices, Health fairs, or spas. Available in 3 stock colors listed below, please order by color. Square Gel Beads Hot Cold Pack. Therapeutic Gel Pack Applies Heat Or Cold To Sore Muscles. Microwave And Freezer Safe. Reusable And Non-Toxic. Instructions Printed On Reverse Side. PLEASE NOTE: After freezing, stays cold for up to 3 hours. If dropped, the item will not shatter or break. After microwaving 30 seconds, the item will stay warm for 90 minutes. Condensation may potentially cause bubbling until cool. CAUTION: Product will be HOT after microwaving. 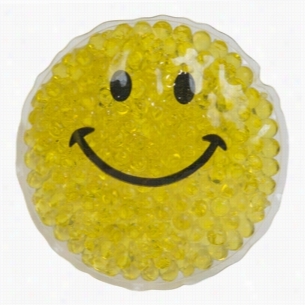 Gel Beads Hot Cold Pack Smiley. These ingenious new bead packs can provide both hot and cold therapy care. They are filled with gel peas that mold to your Body with ease. Can be used over and over, simply Microwave for hot therapy, or freeze for cold (detailed instructions are printed on back of each pack). They are perfect promotional item for hospitals, doctor's offices, health fairs, or spas. A unique give away for clubs and dance halls, these plastic items would also be ideal for themed parties, Mardi Gras, college events, and Halloween. Use it to accent your costume attire or as a fashion statement by itself. Available in bold colors, the shot glass holds up to 2 oz. and can be customized with an imprint for a refreshing twist to any campaign!